– Simulators, especially for demanding applications such as helicopter or heavy vehicles. The sound quality and transientåtergivningsförmågan is extreme and it does not sound “speaker”. – Active Noise Control ANC. QirraSound is extremely linear and linear-phase provides benefits when used for ANC applications. 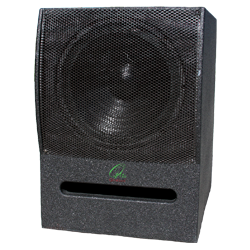 Additionally, the speakers can handle large loads for long periods without fatiguing.